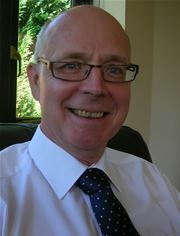 Several new faces have joined the Association for Driving Licence Verification (www.ADLV.co.uk) board. The changes, made in accordance with the Association’s founding charter, see Licence Check’s Terry Hiles elected as Deputy Chair to support the existing Chair, Malcolm Maycock of Licence Bureau. Chris Thornton of DriveTech joins as Treasurer and Mark Sugden of GBG takes over as Secretary and Head of Marketing. Kevin Curtis of Driving Monitor remains as Technical Director. The new team will set about building on the successes of the ADLV’s first 3 years and tackling future opportunities, including upcoming issues such as GDPR. Within this, the association will continue to raise fleet data access issues with the DVLA and seek to promote awareness of its widely acclaimed quality standards with sector procurement managers.